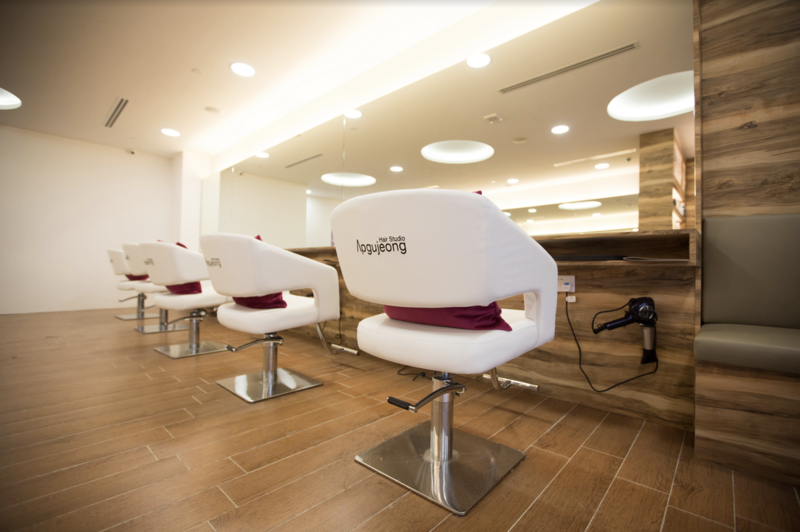 ​Apgujeong Hair Studio is an award winning Korean hair salon that can be found at conveniently at 11 locations islandwide. Our salons are equipped with the most advanced hair styling and hair care equipment and solutions directly shipped in from Korea and you can be assured that you are provided with the best. Aoyama Hair Studio is a full service Japanese hair catering to customers looking for excellent hair services with the personal touch and our characteristic hospitality and service. Our hair design concept centers around the modern Japanese beauty aesthetic and takes into consideration your the shape of your head, facial shape, and skin tone to create a hairstyle that enhances your natural beauty. We are the home of master beauty therapists, and we believe that beautiful, baby soft skin is within everyone’s reach. Using traditional Korean skincare rooted in oriental medicine practices (Geunmak Therapy) combined with state of the art equipment and scientifically developed skincare products, we hope to help you achieve holistic beauty. kcuts is one of Singapore’s largest and most popular quick cut services. Combining quick service, trendy hairstyles, attractive pricing and convenient locations, kcuts aims to provide customers with all that they look for in a quick cut service. With more than 50 outlets at convenient locations islandwide, our customers may enjoy our hair-cut services no matter where they are. Kerluxe Hair Studio is a full service hair salon that caters to each client’s unique style and personality. ​Indulge yourself with our trendy cuts, styles, colors, perms, treatments and much more. We are dedicated to serving you with the utmost attention and professional service. We promote healthy hair, and we strive to have you look and feel even more beautiful with the latest trends and styles. ​Myeongdong Hair Studio is a Korean inspired hair salon conveniently located near where you live and work. Receive the same professional and premium service by our team of experienced and highly trained stylists. ​Yakson House is a unique aesthetic service established in Korea in 1979 that uses the Golki Therapy technique that allows customers to achieve visible results from treatments that do not involve any invasive procedures, botox, or fillers associated with conventional aesthetic treatments. We offer treatments for the face and body such as face resizing care, face balancing care, pre & post surgical care, bridal care and pelvic care. © Copyright KC Group of Companies. All rights reserved.